In a study by Comparably, Satya Nadella wins the tag of the best CEO in the US. Other CEOs who make the top ten of the list include Sundar Pichai, Jeff Bezos and Marc Benioff. The collective voice of employees in the US has been heard loud and clear. 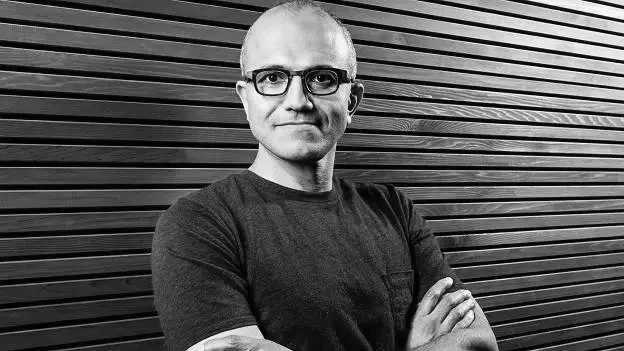 Satya Nadella, leading Microsoft, has been bestowed the tag of the best CEO in the U.S., according to Comparably, a website that looks at compensation, culture and career across organizations. Comparably Awards are based on sentiment ratings provided by employees who anonymously rated their CEOs on the Comparably website between November 2017 and November 2018. There being no fees or costs associated with participation or nomination, the responses are relatively honest and based solely on the employees’ perception of certain CEOs. The format was objective in terms of the numeric scoring system used. It was fair in the sense that scores were compared amongst similar-sized organizations and it valued participation by adding more weightage to companies that had more employees participating in the survey. Jason Nazar, Co-Founder and CEO at Comparably said, "Microsoft had thousands of employees partake in the study. (Nadella) had incredible scores from his team." He added that while Microsoft was not the “darling of the tech space” about three years back, they are today among the most valued companies in the world and he feels that employees at Microsoft must be excited about Nadella’s efforts to build the business. While each of the names above are forces to reckon with in their own industries and across industries, it makes one wonder what it is that set Nadella apart. Having joined Microsoft in 1992, Nadella played various leadership roles including Executive Vice President of Cloud and Enterprise before being elevated to CEO in 2014. While his journey was no cake-walk and was punctuated by business exigencies, ill-issued statements and mishaps big and small, Nazar states that his team reported feeling that he had handled even the mishaps with grace. Traits like dignity, diligence and resilience affect people’s perception of a leader though it is often difficult to pin-point which aspect tipped the scale in someone’s favour and how much. That said, if one were to analyze the recipe for the best CEO, being a rather subjective and contextual concept, it might change from person to person, organization to organization and even from time to time. The task then becomes not to just be great at your job but to keep up with the changing concept of being great at your job as well.